The add-on needs to be opened from inside Google Docs, so the first step is to open a file on Google Docs. 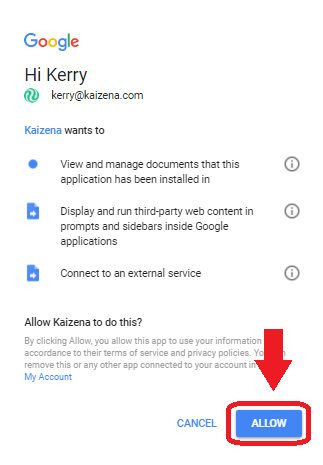 The first time you open Kaizena, you'll see a message saying "A script attached to this document needs your permission to run." - click "Continue." If you want to know more about what these permissions mean, just email us! Next, you're ready to sign in for the first time!